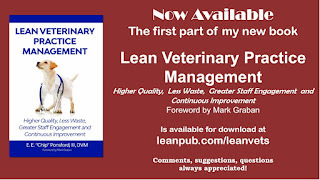 LeanVets: Acknowledgements For My In-Progress Book "Lean Veterinary Practice Management"
Acknowledgements For My In-Progress Book "Lean Veterinary Practice Management"
I know it is not typical to publish acknowledgments separately, outside of the book and in a public forum. But, it is important for me to do so. Below, are the acknowledgments for my in-progress book Lean Veterinary Practice Management: Higher Quality, Less Waste, Greater Staff Engagement and Continuous Improvement. I have been so fortunate, in my life and career, to have been part of a profession that has been both rewarding (and frustrating!) and self satisfying (and humbling!). A veterinarian is all I ever wanted to be. I never had a backup plan, so it is good that it all worked out! In the book Honey From the Rock, Lawrence Kushner, writes about Malachim Elyon, ordinary people who, knowingly or unknowingly, act as a messenger from God to intervene in the lives of other ordinary people in their times of need. We all are called for these “errands”, whether we know it or not. I have come to recognize, at least, some of these angel messengers. I grew up in El Paso, Texas. 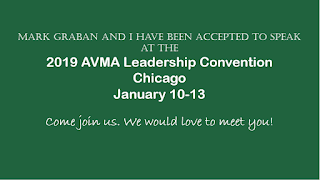 It was there that I became interested in Veterinary Medicine. My second home, during my high school years, was Northeast Veterinary Clinic, and one of my second “Dads” was Dr. Robert Morrison, of blessed memory. He, more than anyone, helped to solidify my determination to pursue my “calling” of Veterinary Medicine and exemplified, for me, what it truly meant to be a healer for “creatures great and small.” Thank you, Doc. The veterinarians of El Paso, Texas, are a unique group of individuals. Maybe, because they were all trying do the same, often difficult and thankless, job in a place that is somewhat isolated in many ways; but mostly because they were just good people! While we were friendly competitors, we all knew we were colleagues first and foremost, working toward the same honorable goals; we always had each other's “backs.” Of special importance to me were Dr. Bernie Page, Dr. Guy Johnsen, Dr. Robert Rohrbaugh, Dr. Robert Garrick and Dr. Ed Silverman. You all have been very special and very needed in my life. My dad was a mechanical engineer with an incredible life story. He built a power plant in El Paso, TX, a dam on the Roanoke River in North Carolina, the first radio telescope at Green Bank, West Virginia, and a radiation fishery in Gloucester, Massachusetts, that preserved fish fresh off the boats for more than a year without refrigeration. We owned a toy store later in my youth (not as cool as one might think) and I learned the fundamentals of entrepreneurship and the discipline it takes to be self employed. He was my first teacher of the scientific method, of understanding flow, of the Plan-Do-Study-Act cycle (though it wasn't formally taught as such), continual improvement, deep understanding, self reliance, the importance of education, honoring yourself and your family, and of respecting everyone. He was “Lean” before anyone knew that term. Dad, I am so happy that my soul chose our family to be born into. I miss you everyday! Several years ago, after discovering the Toyota Production System, or Lean, I reached out to Mark Graban. Mark had already firmly established himself as a world-renowned expert in Lean Healthcare. He has authored or co-authored three books: Lean Hospitals, Healthcare Kaizen and The Executive Guide to Healthcare Kaizen, two of which have been awarded the prestigious Shingo Research Award. He acted as Editor for a fourth anthology book, Practicing Lean, which contains practical Lean experiences with contributions from many of his colleagues. 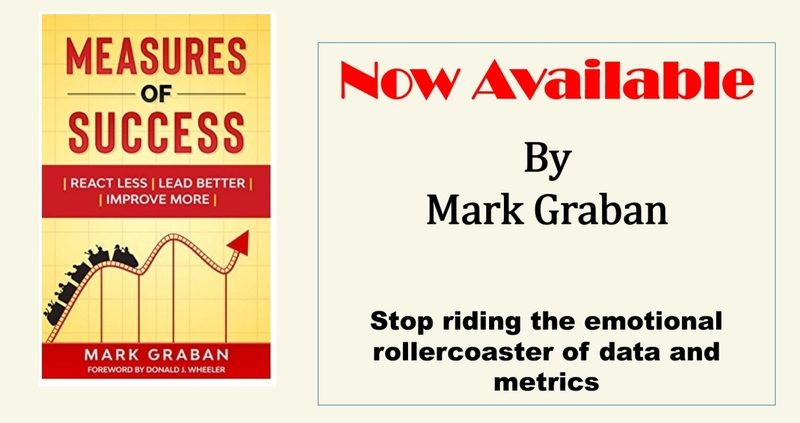 He has also published a fifth book dedicated to Process Behavior Charts, a book titled Measures of Success. Mark writes a post almost every day for his blog leanblog.org. He lectures across the globe, holds popular Lean workshops, hosts webinars, is part of the leadership of KaiNexus, a software company, is an advocate for patient safety and has a Lean consulting business. As if that weren't enough, he took on a “geeky” veterinarian who knew just enough about Lean to be dangerous, and has been such a friend and mentor to me since that fateful day. 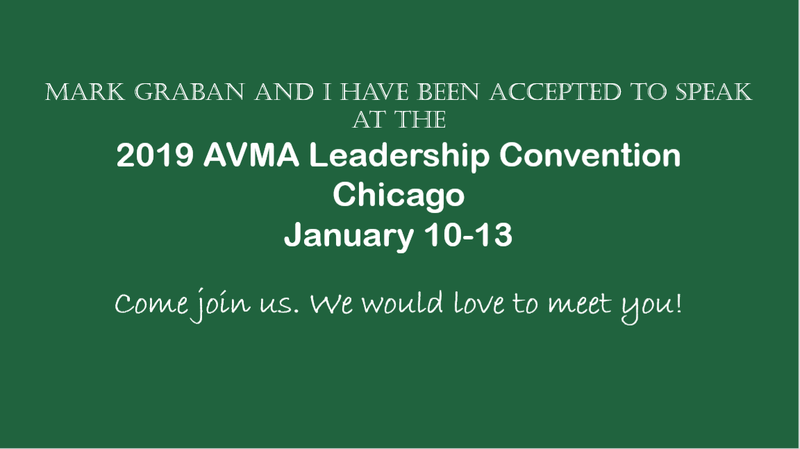 He has been my co-author for several articles about Lean in veterinary journals, co-presenter for a lecture on Lean in Veterinary Medicine at a Texas state veterinary conference and continues to edit (i.e. make intelligible) my blog posts at leanvets.com. In the ancient and honorable Japanese tradition, Mark is truly a sensei; a master and a teacher. Arigato, Mark. People often say that they married their soul mates. But, with somewhere around fifty percent of marriages ending in divorce, finding your “true soul mate” evidently takes, at least, two tries. That wasn't the case with me. Chris recognized me as soon as she met me! Fortunately, I was aware enough to see the same in her. She was a client of my veterinary practice (imagine that!). Since then she has been my best friend, my wife, my teacher, my guiding light, my sun and my moon. She knows me better than I know myself. Just ask her! But, it is true. She has an old and gentle soul. I often think of her as the Merlin to my Arthur; my guide in the physical and metaphysical worlds. If there was ever a “messenger of God” sent to someone in need, Chris has been that for me. God has indeed blessed me! I love you more! In addition, Chris has given me three of the most wonderful children, Paul, Caitlin and Corinne. They have arrived at adulthood with intelligence, common sense, good hearts and the same gentle soul as their mother. Being a father to this group has, almost, been too easy…almost! For the past seven years my family has indulged my constant obsession with the Toyota Production System and Lean. They have been my de facto sounding boards, proofreaders, editors, “critiquers”, champions and cheer squad. They have learned more about Lean than they ever really wanted to. For this, for their unwavering love and for their perpetual respect, I am truly humbled and so deeply appreciative. Thank you. I love you all.